Ready for another birthday remembrance Silver Age fans? 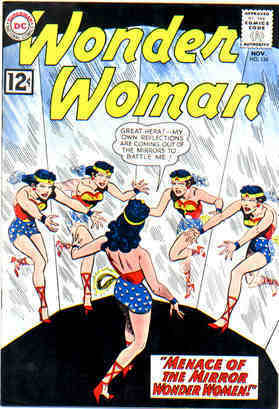 December is the month in which, a mere 65 years ago, the mighty Wonder Woman joined the mythos. 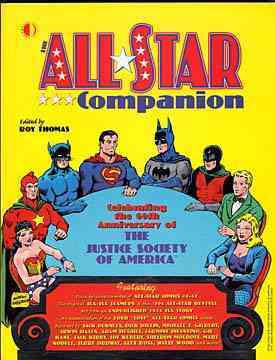 Her official launching pad was the first issue of Sensation Comics, but oddly enough, according to my trusty All-Star Companion, her origin story appeared prior to that in All-Star #8, in what almost appears as an afterthought or at least not much of forethought. 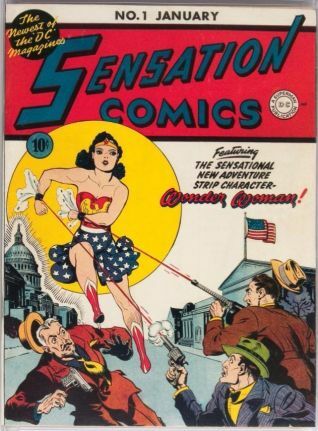 Let me quote Roy Thomas from the Companion: "By far the most important thing about #8 is Wonder Woman's origin, shoehorned into the issue, without advance notice or even a cover mention, a month before her official debut in Sensation Comics #1 (Jan 1942); in #8 she has no connection with the JSA. 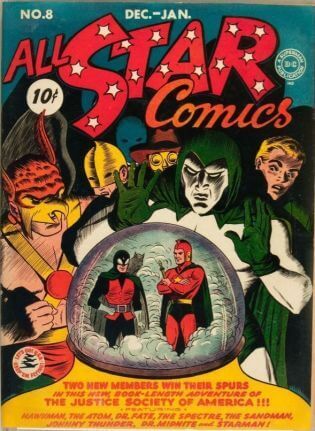 (As suggested by this author in Alter Ego, Vol 3, #2, it is possible this story was originally a 13-pager intended for Sensation #1 and cut by four pages to squeeze into All-Star #8—which contains eight more pages than the usual 1941 comic book.)" This adventure begins with Lt. Diana Prince of Military Intelligence looking at herself in the mirror of the office bathroom. She wonders aloud if she's well enough disguised from her alter ego of Wonder Woman and then does an abrupt change into her star-spangled togs. In the next panel a visage appears in the mirror and begins to laugh wickedly. It's an older man with a prominent nose, bald head and lengthy gray fringe on the sides of his head. He then disappears, leaving Wonder Woman confused as to whether she saw the villainous face or imagined it. The couple next drive past a truck carrying large mirrors on its side and she again notices the same leering figure. When she tries to bring it to Steve's attention it has again vanished. Now she's really beginning to think she needs a vacation when she spots a gangster getaway car. She hesitates to act, though, still concerned that she's been seeing things lately. In the interim a police car appears and takes the criminals into custody. Steve comments that he thought she'd have taken care of matters, but she stammers that the police were just too fast for her. He suggests that maybe she's slowing up and should consider settling down and marrying him. Wonder Woman says that if she thought she weren't of any use in fighting crime that she'd consider it. They've now arrived at the amusement park and Steve invites his date into a photo booth. She pauses momentarily to fix her hair and once more spots the strange figure in the courtesy mirror. She then declines the photo op and the pair head into the fun house where they're able to have some laughs and forget about life for awhile. After working their way through several parts of the fun house, our Amazon Princess slides down a trapdoor and finds herself in a mirrored room. In a duplicate of the cover, she soon sees multiple duplicates of herself rushing at her, but she's still rattled by the events of the morning and cannot decide if it's really happening or if she's imagining it. As she debates the matter with herself the rogue duplicates drag her into the mirror and Part I closes on an empty room of mirrors. Part II finds Wonder Woman feeling a bit like Alice in Wonderland. She's now in the mirror world and everything she sees is a mirror until she's approached by a looming figure. It's also a familiar figure. The man she's seen all day in the mirrors announces she is a prisoner of his mirror world and introduces himself as The Image Maker. Wasting no time on diplomacy, Diana leaps up until she's level with his chin (she appears to be roughly Atom sized in comparison to the Image Maker) and knocks him down with a haymaker, only to discover an endless line of duplicates, the same as when you stand in front of one mirror while another is behind you. Once she realizes the futility of trying to knock every figure out she stops and the Image Maker says he's using her as a guinea pig prior to invading our world, which he intends to conquer with images alone. He gleefully speculates about the carnage he could cause by having people confronted with endless images of themselves. The confusion and chaos when a plane in flight sees another plane's image in front of it and so forth. 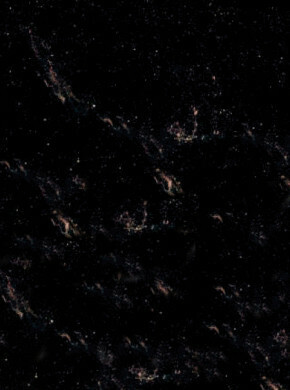 "It will be simple for me to paralyze the world with the ability to project countless reflections—and to conquer it!" Wonder Woman protests that he is dealing with people who will battle for their freedom. He responds that is the reason he has captured her. If he can defeat the mightiest of earthlings then there is no limit to what he can do. The Amazon Princess again goes on the offensive, calling her magic lasso into play to subdue the Image Maker, but the golden coils fall impotently to the floor while the villain jeers that she cannot lasso a glass image. She then removes her tiara, made of Amazonium, the hardest known metal in hopes of shattering him, but again the assault is ineffective. He tells his captive that her weapons are powerless in this ultra-dimensional world of the mirror. She has only herself to fight with. The Image Maker points to the way back to her own world on the other side of the fun house mirrors, but it is guarded by her reflections. Racing toward them, she is again stymied by the infinite images of each pseudo Wonder Woman. The gloating Goliath offers a second and last chance to his hapless opponent, suggesting she race against her own images. If she outraces them she'll land on the other side in her own world. He will wait for her at the finish. She realizes the immensity of the task, but immediately begins to pour it on. Moving faster, ever faster, with speed that would make her fellow Justice Leaguer The Flash proud, she reaches invisible super speed. Additionally, she creates intense vibrations until she causes a massive earthquake, literally shattering the mirror world. Finding herself in freefall, the Amazing Amazon at last lands right back where she began in front of the mirrors in the fun house. Soon Steve Trevor arrives and the reunited pair leave. There is an accompanying story of Wonder Girl, but I'll skip it this time. Wonder Woman has been ubiquitous over the years and has enjoyed the same wide exposure as Superman and Batman. She's been in print, animation, a live-action television series, on postage stamps and is about to join an elite group by having her major motion picture debut in the not too distant future. Wonder Woman has been quite the trailblazer her whole career, holding her own in both the Justice Society of America and the Justice League of America. As a side note, for some reason "Charles Moulton", pseudonym of psychologist William Moulton Marston enjoyed uninterupted creative credit (unlike Superman's creators Jerry Siegel and Joe Shuster who endured decades without acknowlegement). Her costume has undergone subtle changes (which begs yet again the rhetorical question; is it possible to fight crime in high heels?) and for awhile she was even powerless, but continued on as a major character in the DC Universe. I can't imagine the genre without her and I hope you'll join me in saluting her 65-year run. With all that build-up I now must confess that this story didn't do a lot for me. The Image Maker didn't seem all that much of a menace. If anything he was almost like some creepy peeper and he was drawn sort of like a cross between The Mist and the Metal Men's Mercury. Since Ross Andru and Mike Esposito drew for that title I can't say it's much of a surprise. Not a whole lot in the way of abilities, either. She seemed to conquer him mostly by accident. I've speculated before that these stories seemed to appeal more to the young girls out there and if you go to the letter column in this issue it's filled with notes from female correspondents. So, despite my admiration for the character, this tale just wasn't among her best, so I give it a 4. The next installment in this ongoing feature hits cyberspace in about two weeks and we invite you back as we continue to delve into the wonder years of the Silver Age of DC comics. If you've got questions, comments or a review request, direct them here to my handy e-mail: professor_the@hotmail.com. Long live the Silver Age!